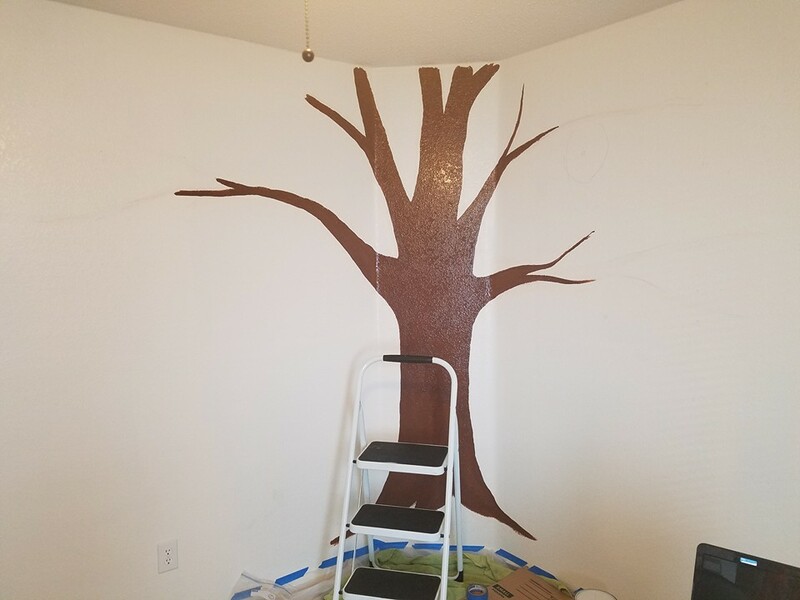 How can I paint a wall mural? | Als Ik Kan Designs – Woodworking, Crafts, and More! 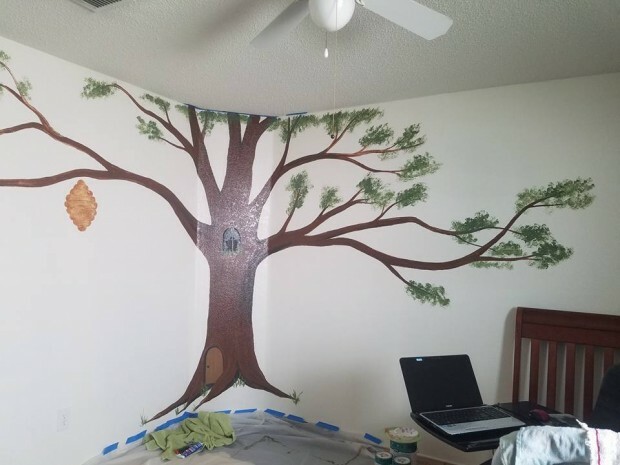 Have you ever wondered how to paint a wall mural and have it look professional? Even if you don’t think you have artistic talent, you can do it with a few easy tech tools! Use a projector to project the image you want onto your wall. You will need the appropriate cables to connect your projector to your computer or phone that has the image. 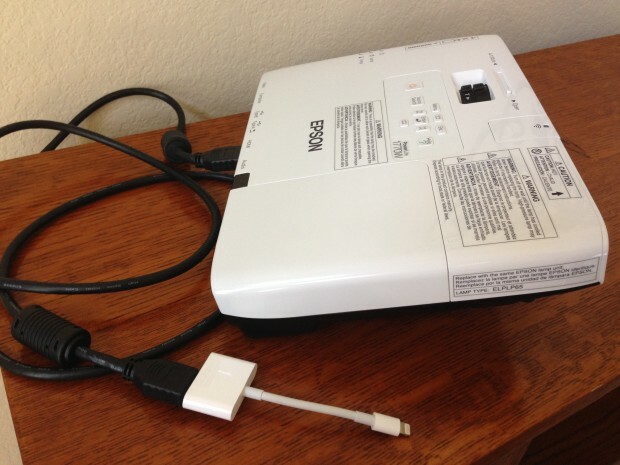 The Epson projector I used here has an HDMI cable with a converter to connect to my phone. 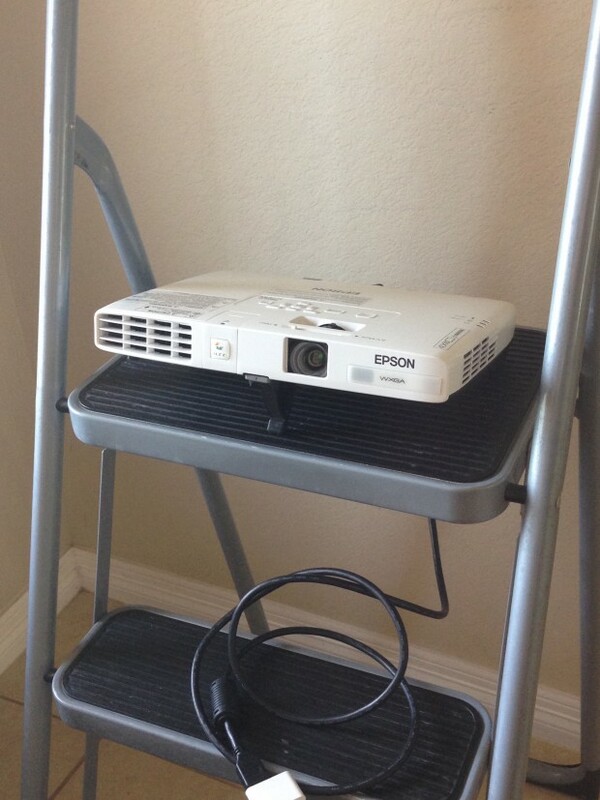 Set your projector on a ladder or sturdy surface. Play around with the size and placement until you are happy. Trace it with chalk, then paint away! My friends Val and Dan are having their first baby in a few weeks (so excited for them!!) 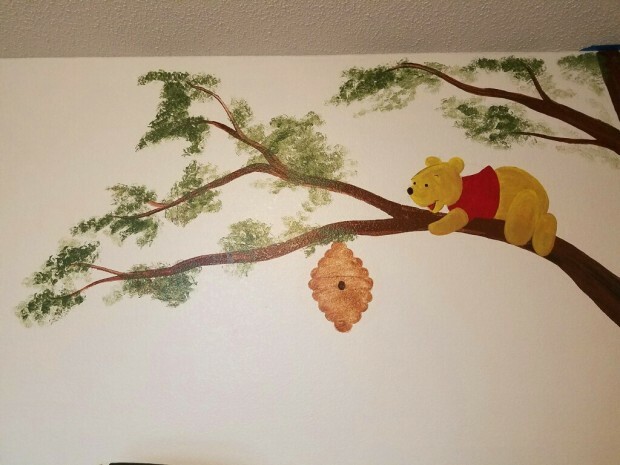 and wanted a Pooh theme for their nursery. 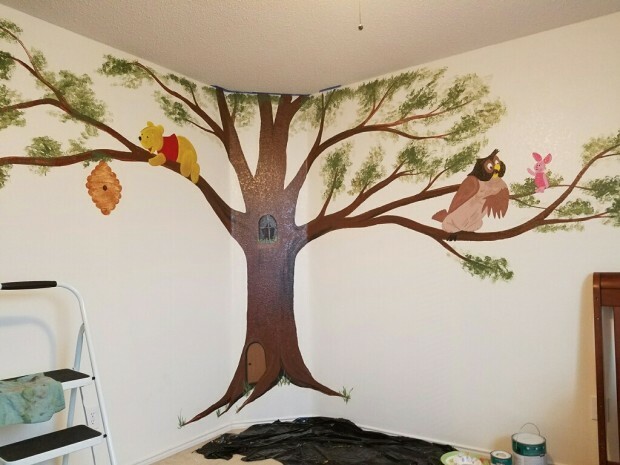 We never found one picture that fit everything they wanted, so I ended up using a variety of images in different parts of the mural so I could get the characters they wanted in the right places. 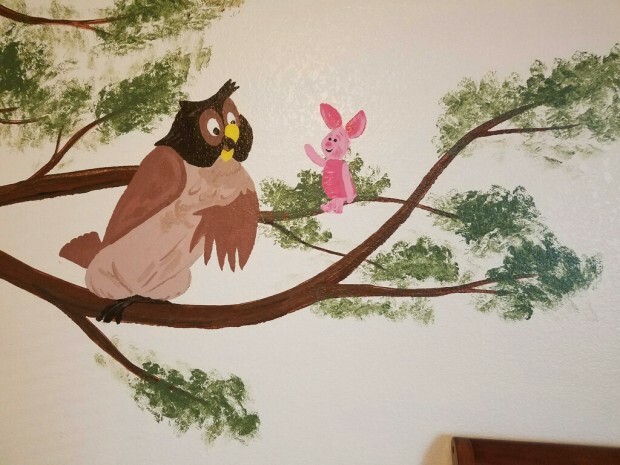 The best thing about painting a mural is it’s only paint. If you don’t like it, it’s easy to paint over and try again!